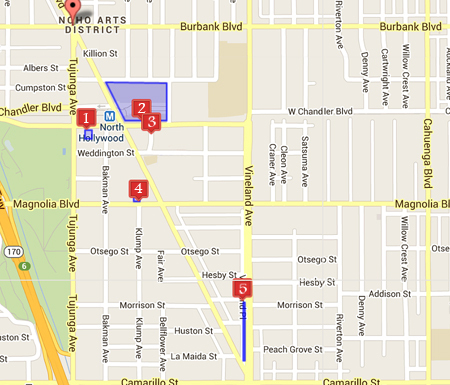 The El Portal Theatre is conveniently located at 5269 Lankershim Blvd. in North Hollywood, California, at the corner of Weddington Steet and Lankershim. Use the below map to get specific driving directions from your location. Once you arrive at the theatre, parking is conveniently located in several different locations, both within easy walking distance of the theatre. Street metered parking is available within several blocks of the theatre. There is no charge for Sunday parking, but please check posted signs for metered parking fees during the week. There are also five metered parking lots within easy walking distance. Free on-site parking – 619 spaces. Paid reserved on-site parking – 333 spaces.